By renting a plasma display, you can provide high quality, attention-grabbing images at your corporate event. Events such as trade shows, conventions, and conferences benefit from will benefit from full motion video at the highest possible quality. Plasmas offer a picture that is more vivid, has a higher contrast ratio, and richer, and deeper colors than most other technology. But there is a risk involved with the technology and transporting one isn’t the most convenient thing to do. Unfortunately, plasma TVs break very easily. Installing and shipping a plasma is a lot more difficult and more expensive than installing and shipping an LCD for this reason. Plasmas break easily and tend to develop pixel display degradation or have an early life pixel failure when they are used heavily or damaged. Purchasing replacement equipment over and over is not exactly something many companies can afford. This is why you should consider a plasma TV rental. People are currently renting plasmas for a variety of corporate events: conferences, conventions, trade shows, video conferences, computer training, and other VIP events. And because they can reserve and install plasmas in any city or any convention center in the United States and Canada, people are turning to Rentacomputer.com for their plasma rental needs. Renting is both convenient and cost-effective. Even if you attend several trade shows a month, you’ll be saving money by renting instead of buying, because the cost of deployment, insurance, and frequent replacement can add up quickly. Plasma displays range from 32 – 61 inches and will soon be even bigger. They are slightly thicker and heavier than their LCD counterparts, and as mentioned, much more fragile. 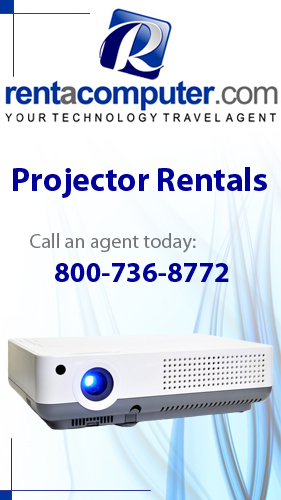 To rent a plasma display today, contact a Technology Travel Agent or call toll-free at 800-736-8772. Such a good report, I’m keen on the method that you create articles. We’ve simply just tweeted this in order to share it and enjoy even more coverage on your webshop!